Pope Francis has signaled his support for the Church to reform its marriage-preparation process in favor of a new “catechumenate for marriage” — an idea more than 35 years in the making — that would build healthy, holy unions and provide an “antidote” to the contemporary crisis in Catholic marriage. Two different synods on the family have seen the Catholic Church’s bishops propose a new model of marriage formation based on the catechumenate conception, where couples would be formed for marriage within the context of the parish community, with their pastor and mentor couples working together, guiding them before the wedding and after, when they take their first steps as a new family. And Pope Francis made explicit in his Jan. 21 address to the Roman Rota, the Church’s top jurists, that it was “urgent” for the Church to “implement practically” St. John Paul II’s plan for modeling marriage preparation on the catechumenate in Familiaris Consortio (66). The Catholic Church has been coming to grips with the fact that Catholic marriage and family outcomes have fared only marginally better compared to the rest of the culture. In the U.S., Catholic marriages end in divorce at a lower rate than the general population. Still, close to one out of three (28%) of Catholic marriages end in divorce, according to Georgetown University’s Center for Applied Research in the Apostolate (CARA). CARA’s surveys also show that weekly Mass attendance and church involvement correlate strongly with better family life. But only one out of five Catholic parents with children at home go to Mass weekly, and just under half of Catholic parents go to Mass once a month or more. The other half of parents go rarely or not at all. A number of bishops at the 2015 Synod on the Family voiced their support for moving to a marriage catechumenate model as the way to form couples (and their families) in the Church’s teaching. Some U.S. dioceses have begun, on their own, to move away from having centralized pre-Cana programs at diocesan-based sites toward a parish-based marriage-ministry model, so couples can get a catechumenal formation at the parish with the diocese providing support. Steve Patton, associate director of Family and Respect Life Ministries at the Diocese of Sacramento, California, told the Register in an email that the diocese shut down its pre-Cana program in 2012 and embraced the catechumenal approach by shifting entirely to having parishes as the locus of marriage preparation. The Archdiocese of Chicago, which is known as the birthplace of pre-Cana and still has centralized marriage ministry, is exploring with parishes and pastors how they can together reinvigorate marriage formation. Clarissa Aljentera, senior coordinator of family ministries for the Archdiocese of Chicago, told the Register she was encouraged by Pope Francis’ remarks. Part of the challenge, she explained, is taking all of the excellent programming and tools the archdiocese has developed over the years and training parish facilitators, pastors and communities to unpack that in a practical way. Archdiocesan officials are also looking to integrate Chapters 4, 5 and 6 of Amoris Laetitia (The Joy of Love) into their marriage materials and for guidance on how to build the marriage catechumenate, particularly where the Pope calls for “couples walking with other couples.” They also intend to gather parish best practices to share with other parishes. Marriage catechumenate, by its nature, has to involve the whole parish community, explained Mary-Rose Verret, who with her husband, Ryan, founded the “Witness to Love: Marriage Prep Renewal Ministry,” which trains parishes in their catechumenal model for marriage formation. She told the Register that they started working on developing a framework for “marriage catechumenate” with Witness to Love approximately six years ago. Verret said the key to Witness to Love, and the marriage catechumenate, is personal relationships and integrating the couple into the life of the parish, so that newlyweds (marriage neophytes) have a trusted mentor couple (marriage sponsors) and a supportive community (their parish) they can turn to as they take those first steps living together the Church’s vision for marriage. Otherwise, Verret said, the best diocesan conferences, mandatory natural family planning courses and parish workshops will not achieve the evangelization couples need and can become one more “hoop” for a couple that may likely disappear after the wedding. “If books and programs alone did the trick, everyone would be amazing Catholics living out their faith,” she said. “We need relationships” to support the Church’s plan for love and marriage. Marriage catechumenate is also vital for civilly married couples seeking to obtain the sacrament of matrimony through a process called “convalidation,” where both spouses exchange their consent to marry each other in the presence of an authorized priest or deacon and two witnesses. 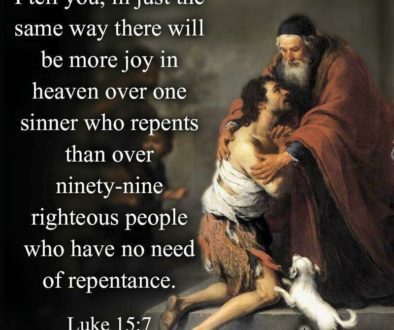 Such an approach also means the Church is not evangelizing a vast number of Catholics, or assisting these couples in having the best opportunity for a happy marriage by resolving any serious issues before they attempt the sacrament. Patrick and Courtney Pourciau, who told the Register their civil marriage was convalidated in 2004, agreed. However, they both have benefited from their involvement in their parish’s Witness to Love ministry, where they serve as liaisons, helping couples choose mentor couples and arranging the pre-wedding retreats and the post-wedding dinners between classes of newlyweds and mentor couples. Patrick said honestly sharing their own marriage with a couple seeking the sacrament of matrimony taught them a lot about themselves and their own marriage. “The mentor couples really get to see the growth,” said Courtney, who said she has seen “a lot of grace” at work through this sacramental process for marriage. And they are looking at the possibility of making Witness to Love a form of marriage enrichment for sacramentally married couples who never went through a catechumenal process for marriage. The discussion on “marriage catechumenate” has its origins in the first synod on the family held by St. John Paul II in 1980, according to Father Paul Holmes, a moral and sacramental theologian at Seton Hall University. Father Holmes told the Register that he switched his doctoral focus to dedicate his scholarship to exploring the marriage catechumenate upon reading about the idea in the reports coming out of that synod. Father Holmes said matrimony as a sacrament is rooted in a Christian’s baptism, so having a marriage catechumenate would highlight the connection between those two sacraments. The engaged could be brought to the parish church, surrounded by the ecclesial community, a number of times during the period of their engagement, to receive anointing, a blessing over them or other ritual actions that would signify their catechetical journey toward receiving the sacrament on their wedding day. And then, as newlyweds, they would have the parish helping them to deepen their growth in the sacrament. “It lets the couple know that they are surrounded by the Church, that they are upheld by the Church and supported by the Church, rather than going for three evenings where people talk about marriage and then they have a rehearsal, and then they have a wedding, and that’s it,” Father Holmes said. In a new catechumenate for marriage, “we would have preparation for the sacrament in a ritual way, then we have the sacrament itself, and then we would have a mystagogial period, the post-sacramental period,” where the couple would have sustained guidance and support from the Christian community. He suggested that the Latin Church should look at reviving the “Rite of Betrothal,” which went by the wayside after the Council of Trent, and try to examine also how it used to ritualize the various stages of engagement leading to the wedding. He said that the Latin Church could draw ideas from the Eastern Churches about how to revive the imagery needed for these rituals. One Eastern practice, he said, involves bringing the couple to church to have their wedding garments blessed in a ritual before the community. Father Holmes said if Pope Francis wants marriage catechumenate to become a reality, he should direct the Congregation for Divine Worship, currently led by Cardinal Robert Sarah, to begin the process of developing a ritual for marriage catechumenate, which will take both hard work and imagination. As a priest who marries 10-15 couples a year, he said he would greatly appreciate having the intended bride and groom go through a marriage catechumenate, rather than leaving all of the catechesis in the sacrament up to him.